According to The Weather Channel, the U.S. is set to face an especially blustery winter for December 2015 through February 2016. Specifically, the Southwest, East Coast and Southern Plains can expect lower-than-average temperatures and some additional snow. Given the upcoming landscape, it makes sense that so many people would want to spend as much time as possible indoors this winter. Though your home is bound to be extra cozy – not to mention free of troublesome snow and ice – there are still certain precautions necessary to keep you and your family safe and warm all season long. 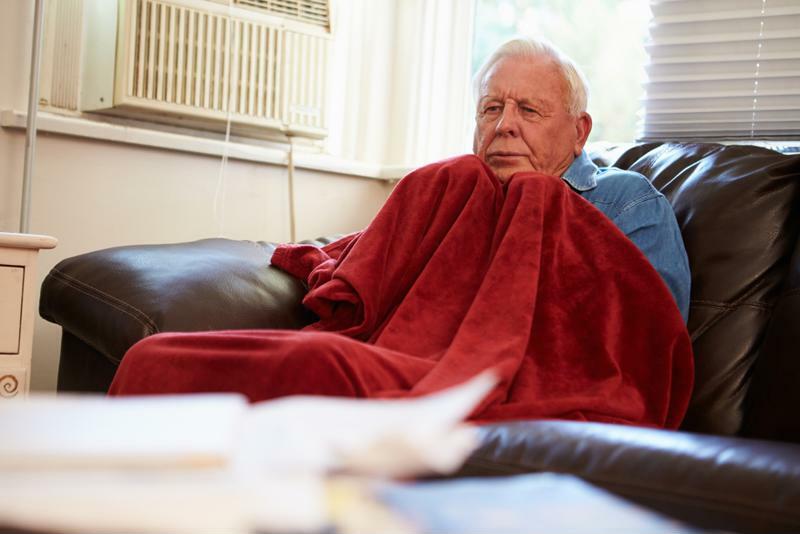 Watch your heat sources: As temperatures dip well below freezing, many people will use a space heater to help fight off the cold. If you do rely on this heat source, though, be sure to keep it at least three feet away from anything that’s flammable, including drapes, bedding and furniture. Additionally, keep your heaters away from windows or out of the basement, as these spots can be potential fire hazards. Stay warm by eating properly: If you’re going to spend any extended time indoors during the winter, you’re going to need to continue to consume regular meals. Eating gives your body the proper amount of calories, which it can in turn then convert into energy to stay warm. However, you want to avoid any caffeinated or alcoholic beverages during this time, as these will cause your body to lose heat. Instead, enjoy a warm and hearty cup of hot chocolate. Be cautious of CO: Though these devices are quite popular, space heaters and other fuel-burning appliances produce carbon monoxide. Prolonged exposure to CO can actually prove fatal, and it doesn’t take more than a few hours of sustained exposure to result in irrevocable harm. According to the Minnesota Department of Health, symptoms of CO poisoning include headaches, dizziness, tiredness, confusion, vomiting and fatigue. You can prevent CO exposure by ensuring your heaters are properly installed and vented. It’s not uncommon for some people to spend most of the winter bundled up indoors. Practice fire safety: Another possible danger of space heaters is the risk of fires. As such, you want to take fire prevention into consideration. For one, always check the heater’s cords for rips or tears before plugging in the machine. Additionally, make sure your smoke detector is working. According to the Government of Canada, you should check your alarm with some frequency. Test the batteries at least once a month – and change them once a year – and always be sure the actual device is clean and free of dust. Conserve heat: No one wants to be cold. Not only is it uncomfortable, but it can cause you to over-rely on space heaters or similar devices, which increases your risk of fire and CO poisoning. That’s why you need to do your best to keep as much heat inside your house as possible. Avoid opening doors and windows, and use towels to fill in the spaces under your doors. At night, cover the windows in blankets to cut down on ambient heat loss. Always pay attention to the temperature of the whole house to see if ventilation is necessary. Even if you stay huddled inside for the majority of the winter, you still might get sick. If that’s the case, you can always visit a CareWell Urgent Care location. Not only does CareWell‘s team treat many winter-related injuries, but each location specializes in flu shots for the entire family.